This morning in Saint-Nazaire, France, MSC Preziosa was officially delivered to MSC Cruises at the STX France shipyard. During the traditional flag ceremony, the shipyard’s pennant and the French flag were lowered, accompanied by the French national anthem, before Laurent Castaing, General Manager of STX France, formally handed the ship over to MSC Cruises’ owner Gianluigi Aponte. Mr Aponte then gave command of the ship to Captain Giuliano Bossi, and the flags of Italy and MSC Cruises were raised to the sound of the Italian national anthem. Erminio Eschena, General Director of MSC Cruises France, Belgium and Luxembourg, was also in attendance as well as French Minister for Industrial Renewal Arnaud Montebourg, French Junior Minister for Transport and the Maritime Economy Frédéric Cuvillier, H.E. Hye Min LEE, Ambassador of the Republic of Korea to France and Mayor of St Nazaire Joël Batteux. The honour of cutting the ribbon fell to Alexa Aponte Vago, MSC Vice President. After the traditional breaking of a bottle of champagne, three blasts from the ship’s siren signalled the end of the ceremony. MSC Preziosa is 333 metres long, 38 metres wide and weighs 140,000 tonnes. 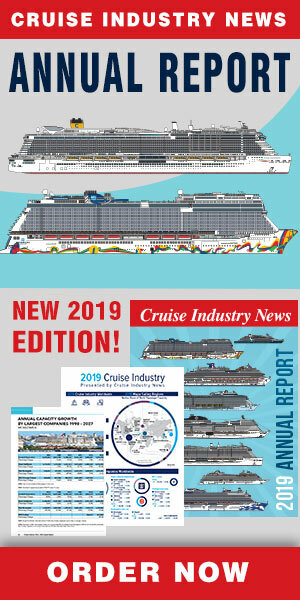 The 4,345 guest luxury cruise ship is able to travel up to 23 knots, offering smooth cruising in sumptuous surroundings. Her elegant design is once again the work of award-winning naval architects De Jorio Design International. New features to MSC Preziosa’s 30,000 square metres of public areas include Vertigo, the longest MSC Cruises waterslide to date and the longest single rider body waterslide on the waves, children’s aqua park Doremi Castle Aqua Park Adventures, the first two Eataly restaurants at sea, and a whole host of new features in the luxurious MSC Aurea Spa. MSC Preziosa also boasts the same acclaimed features first unveiled on sister ship MSC Divina, including the infinity style Garden Pool and Galaxy Lounge Restaurant & Club with its fabulous Mediterranean fusion cuisine and its chic decor. After the closing of the flag ceremony, MSC Preziosa today began her pre-inaugural 9-day/8-night cruise from Saint-Nazaire. She will call in Lisbon, Portugal, Cadiz, Spain, Casablanca, Morocco, Valencia, Spain, and Marseille, France, before arriving in the port of Genoa on Friday 22 March, ready for her official christening ceremony the next day. The highlight of the christening event will of course be the cutting of the ribbon and the naming of the ship by screen legend Sophia Loren.